HP stumbled mightily in 2011, and it had nothing to do with product or people. Even sales remained strong, though the PC business is changing. HP’s mighty stumble was a crisis of confidence due to a chain of shenanigans at the very top. This culminated with the short reign of LÃ©o Apotheker, leaving HP to reassure the market of its strategy. One of the amusing aspects of being self-employed is watching all the giants battle it out. Every company is gunning for someone, but the amazing thing is that they rarely have each other in their sights: NetApp is gunning for EMC who’s more focused on HP who wants to knock off Oracle who’s fixated on IBM. It sounds very “high school romance” but this is deadly-serious business. Today is the (a?) day of reckoning in the 3Par saga, with Dell widely expected to make a counter-offer higher than HP’s bid. 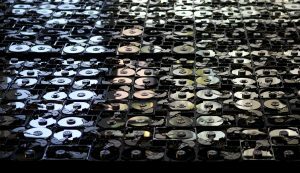 But this mega deal, like the Data Domain war before it, sends a strong signal to the enterprise IT world: It’s open season on data storage companies! But the rising superpowers are also likely looking at networking as an area of expansion. The game is afoot! 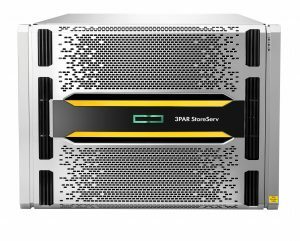 The ongoing battle for 3Par by HP & Dell tells us much more about the state of the IT Industry than just the desires of two companies to acquire some interesting storage tech. It signals an acceptance that storage is a key feature in the future direction of the IT industry â€“ more important than networking and almost as important as the virtualisation platform itself.